Home to West Bengal 's community of traditional boat makers, Balagarh village has always had a fond relationship with water. 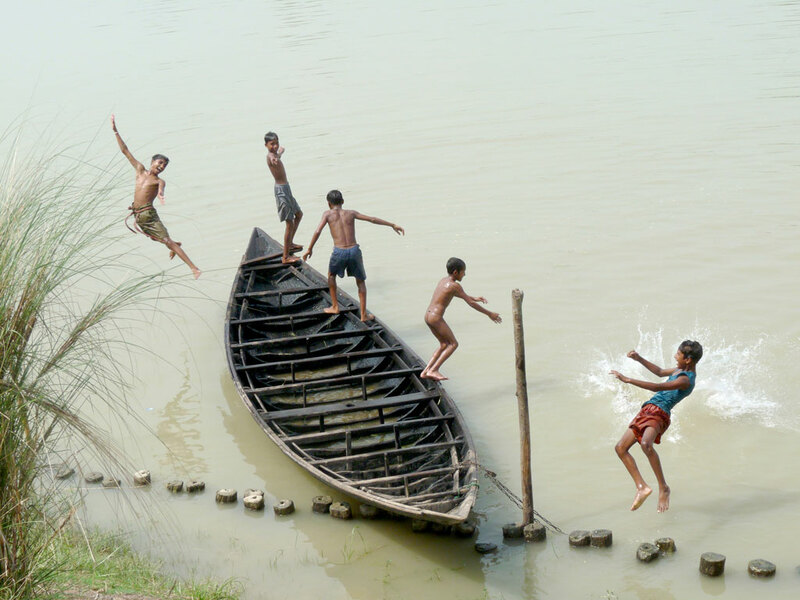 For these local boys, summer has transformed a trusty wooden boat into their makeshift diving board. Want to cheat your way through summer? 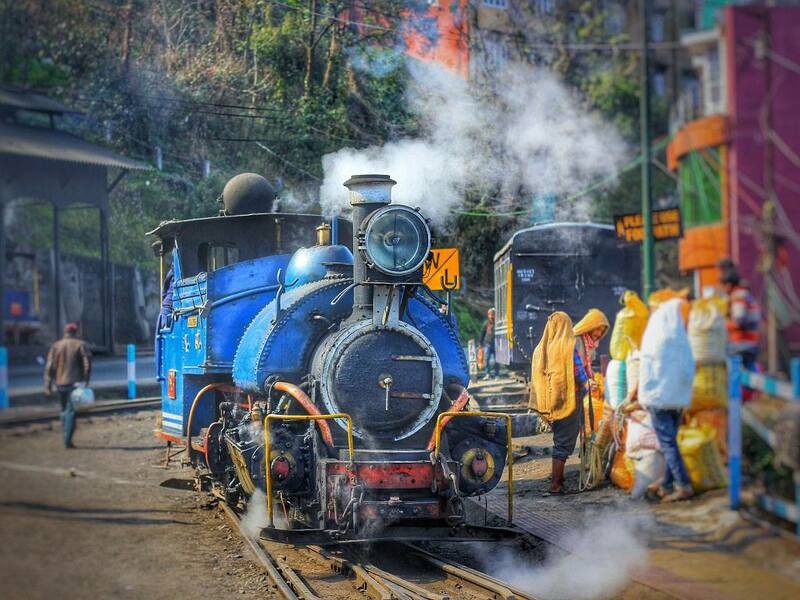 Nothing does the trick like packing your bags and dashing off to Darjeeling? Lovingly monikered The Queen of Hills, it is here that you can see the milky peak of Kangchenjunga, Rhododendron-dotted mountain paths, and steam engines that look straight out of storybooks. Here, workers prepare to load freight for the engine’s first trip of the day along the Darjeeling Himalayan Railways, a UNESCO World Heritage Site. For birders, the warm, activity-filled summer days are perfect for studying nesting behaviour. 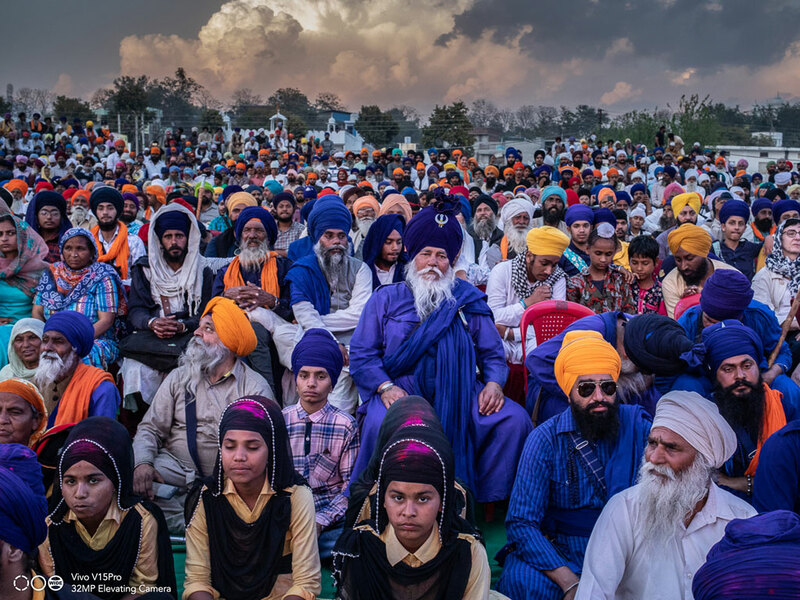 But even as an amateur, patient observation can fetch you rare glimpses. 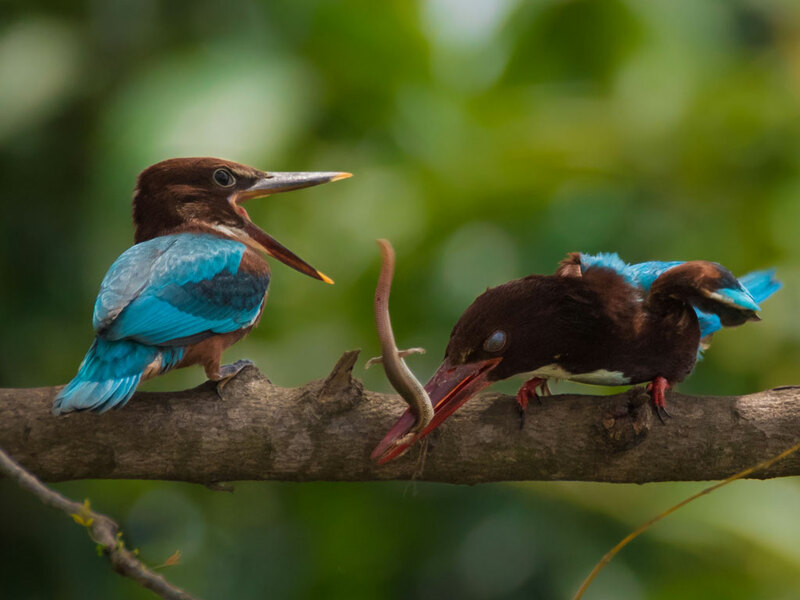 Case in point, the beautiful sight of this adult White-throated kingfisher feeding skink kill to its fledgling in a village near Thiruvanthapuram. 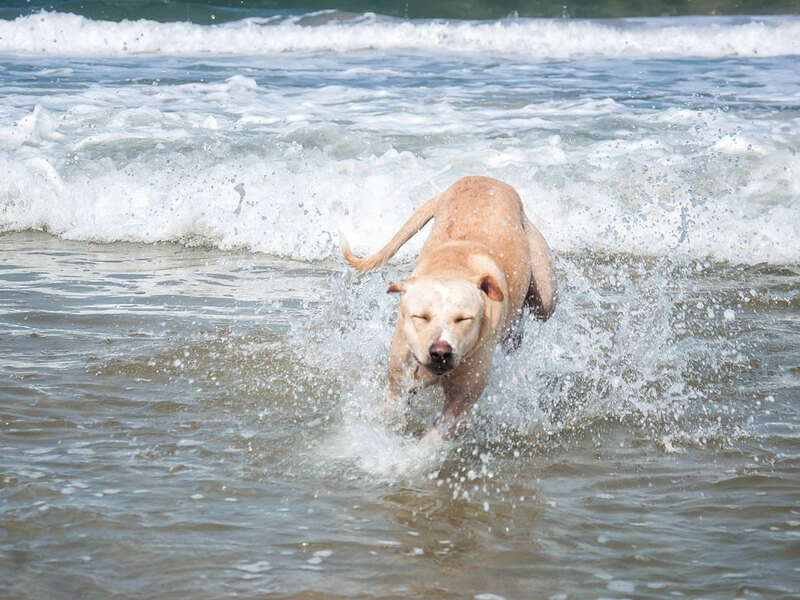 Watching a cuddly dog shake off water is a sight endearing enough to bust a bad mood. This water baby seems to be having a playful wash at Calangute Beach in Goa, so much so that he refuses to step out. If you were planning a productive summer holiday, chances are the Olive Ridley turtles have already beat you to it. 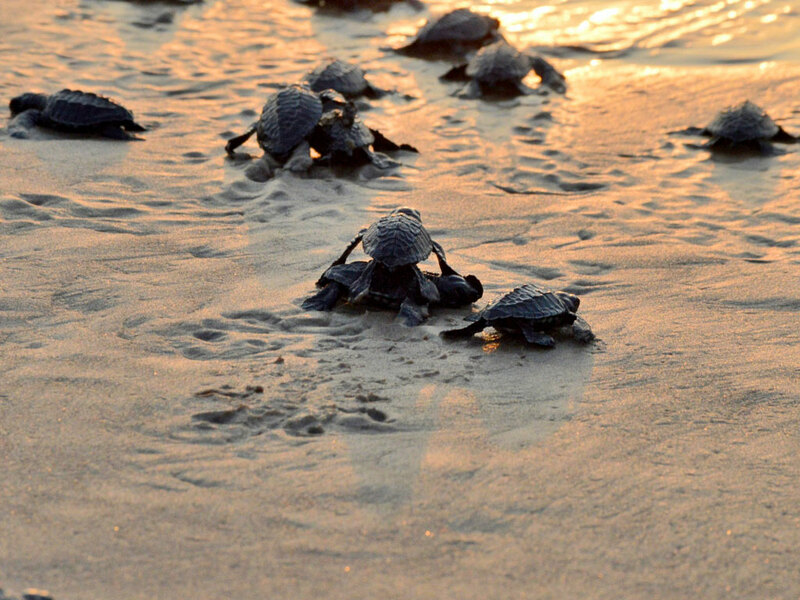 This is the season when the small species of turtle, found abundantly in warm tropical waters, have their eggs hatching in the sun-baked shores of many Indian coastal areas, including Odisha. 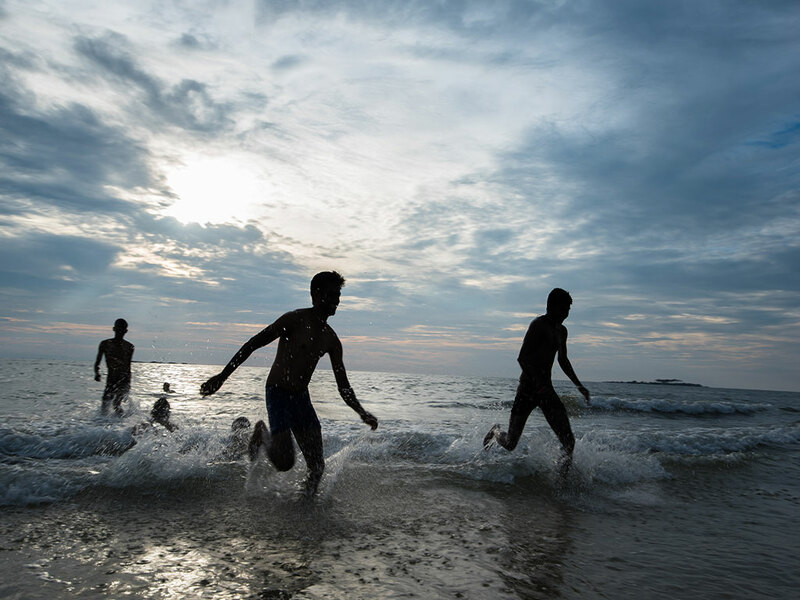 At the Podampetta beach, the early morning sun lends a magical quality to the phenomenon, as newborn Ridleys scurry back into the safety of the Bay of Bengal to avoid being eaten by land predators. If summer were a boogieman, seaside wind and water would fight it away in a heartbeat. 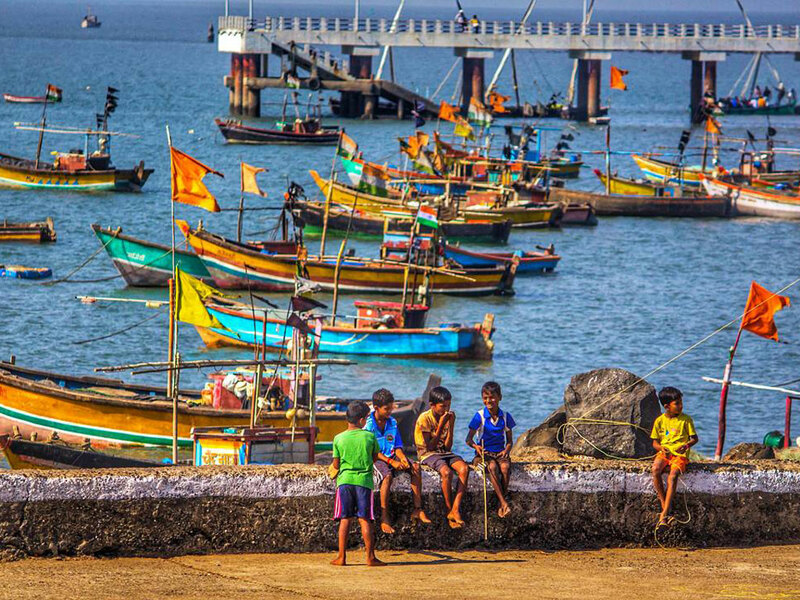 Near Maharashtra's Kashid beach, known for its cheerful blue waters and pale sand, local kids make the most of the breezy environment, as fishing boats bob in the background. Gujarat and summer both conjure an image of wild ruggedness, and at the Gir National Park, wild is beautiful. With the forest under heat attack, birds and animals wander out to drink from waterholes. 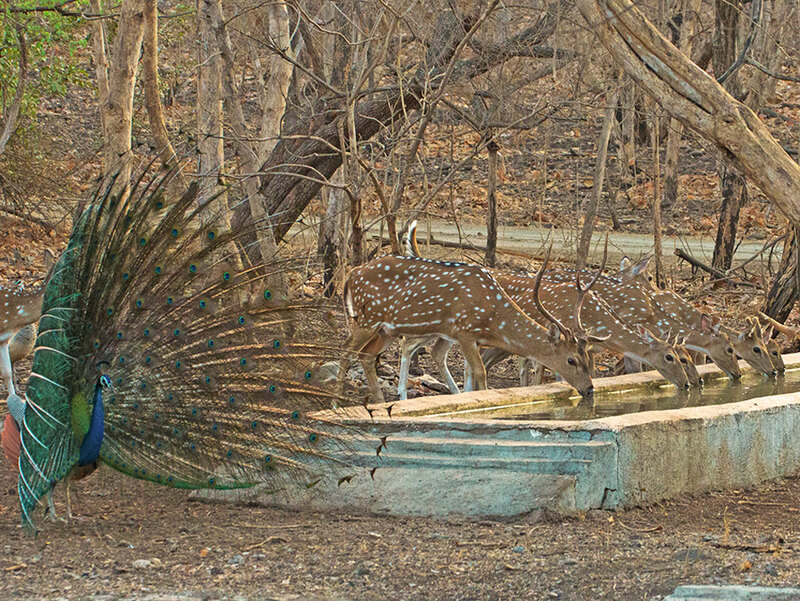 While the deer herd here seems to believe in getting down to business, this lone peafowl does not mind a proud post-preening strut. Winters are when bird-watchers make a beeline to Rajasthan’s Tal Chhapar Sanctuary. 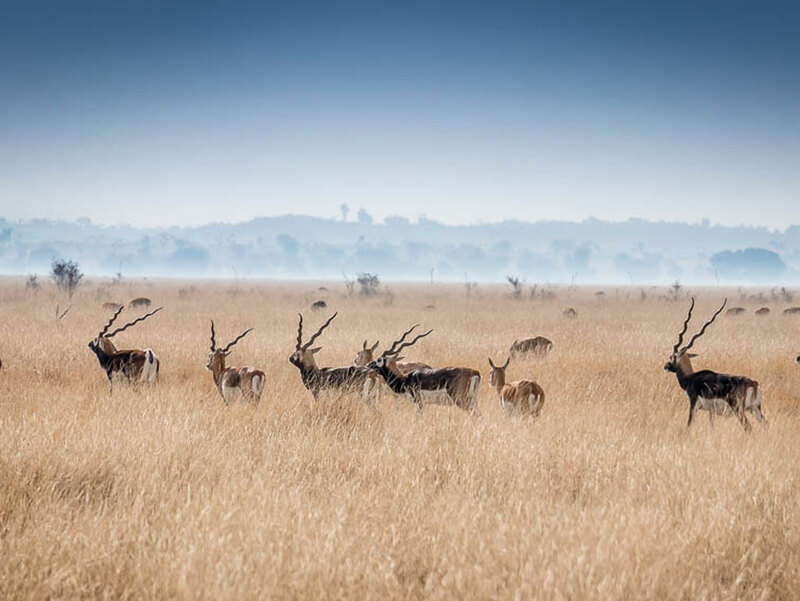 But to see flocks of blackbuck spar and frolic in open sun-kissed grasslands, summers are ideal. 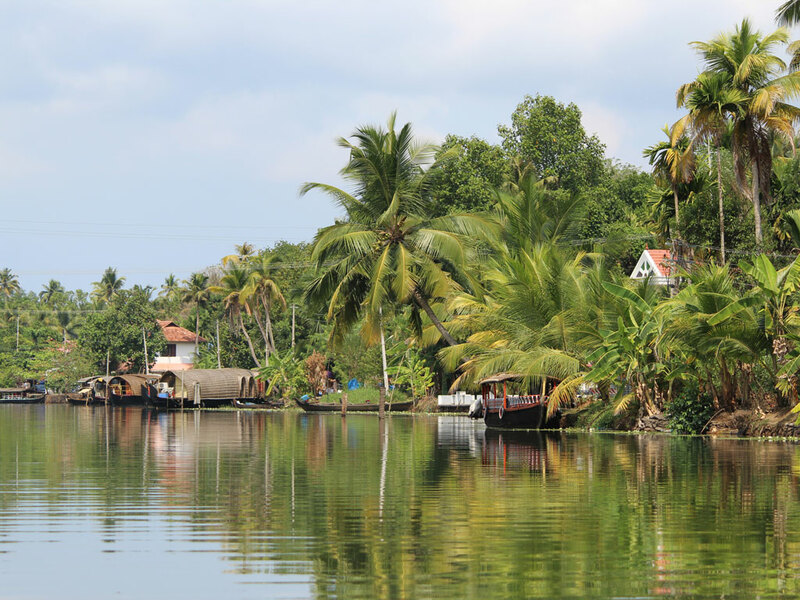 The backwaters of Kerala offer pockets of lush freshness even in sizzling summers. 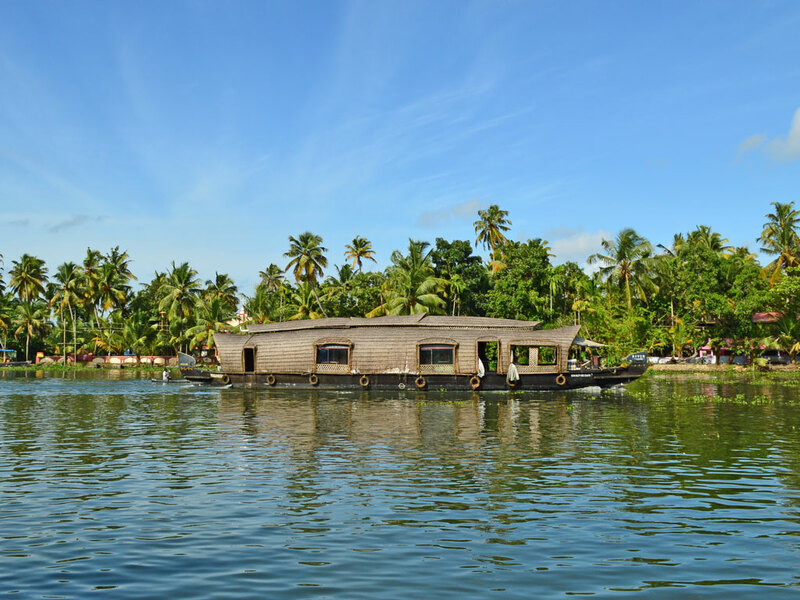 Lake Vembanad in Kumarakom is a case in point, and cruising on its soothing waters in a rustic boat is perhaps one of the best ways to cool off. Making a splash gets a whole new meaning in summer, when neighbourhood ponds and pools become playground for many. 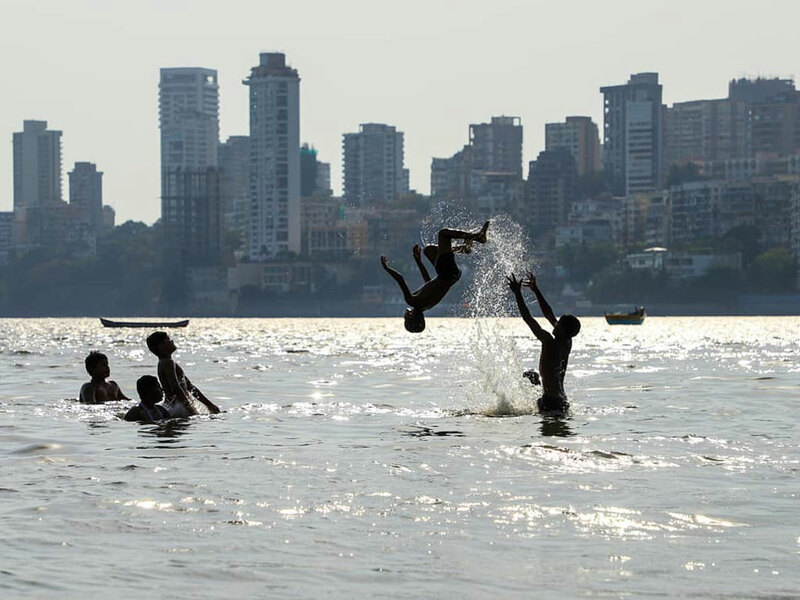 But this young boy swings big as he dives into the cool waters of the Arabian Sea, a refreshing evening escape amid the urban jungle of Mumbai. 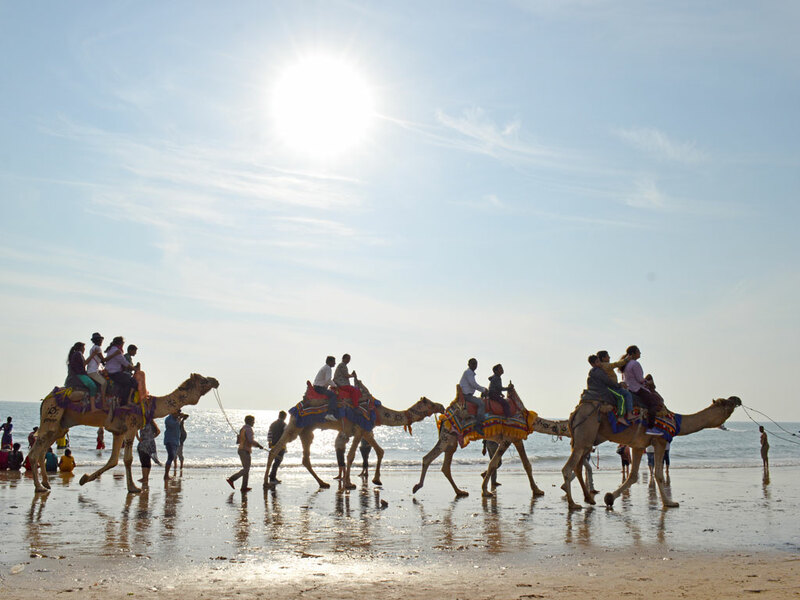 A lazy camel ride on the beach can spell the perfect summer plan, if you are not quite the water-baby. Wind and waves at a comfortable distance, the sun overhead does not seem to bother these amblers at Mandvi Beach in Gujarat. 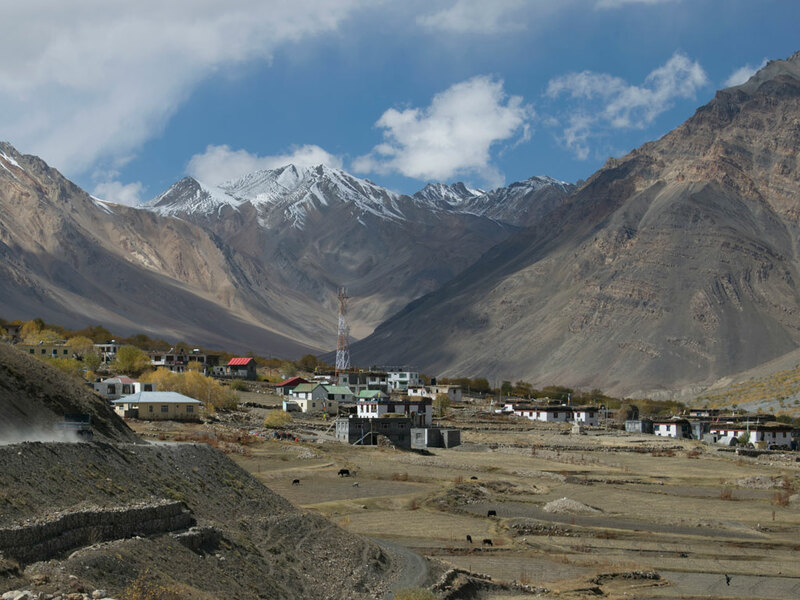 Fringed by the formidable Himalayas, Losar is the last inhabitable settlement along the Indo-China border. 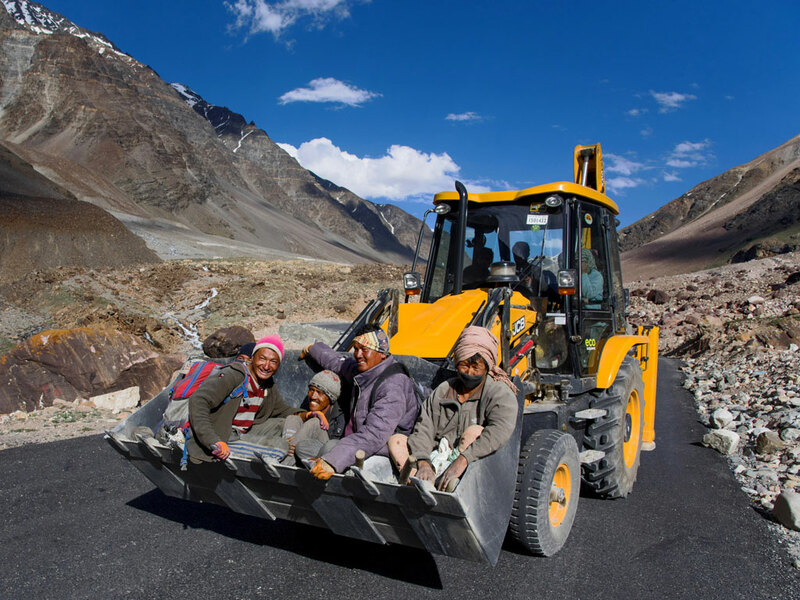 Standing 13,400 feet above sea level, it is often touted as Spiti Valley’s chilliest village. Besides its proximity to an international border and dizzying altitude, many travellers stop by to visit the solo monastery and observe the everyday life here, en route to Chandratal, a lake as still and gorgeous as the moon. During scorching summer months, watering holes are the best bets to spot wildlife. 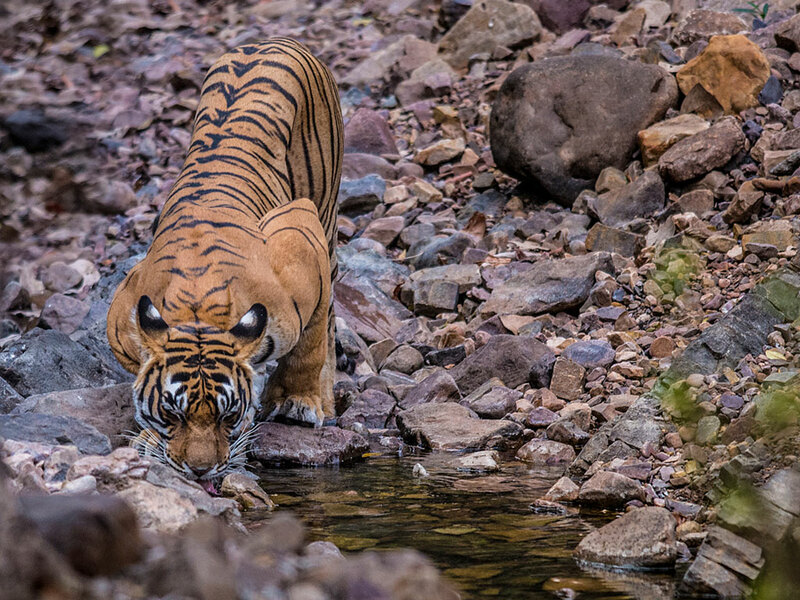 Here, a tiger satiates his thirst in Ranthambore National Park. 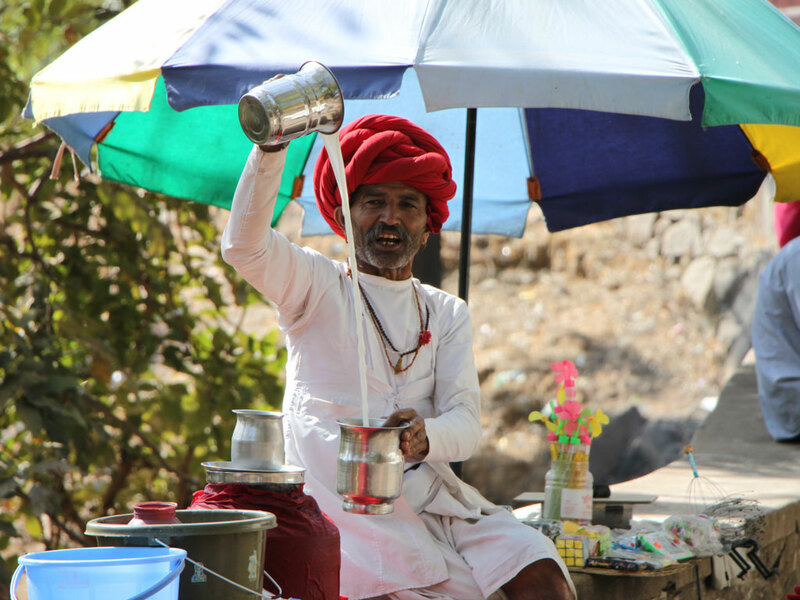 What better way to beat Rajasthan's heat than with a glass of cooling chhaas? A traditional Indian summer drink, it is best enjoyed cold. This vendor is selling it outside Mount Abu's Arbuda Devi Temple. Photographers sometimes stand by endlessly, braving harsh weather, in their quest for that perfect shot. 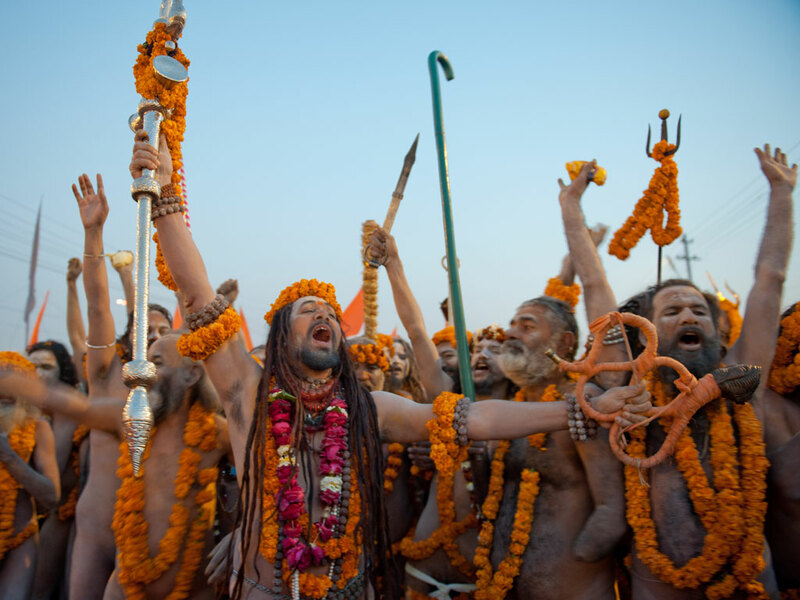 Today's Daily Shot photographer is one such. 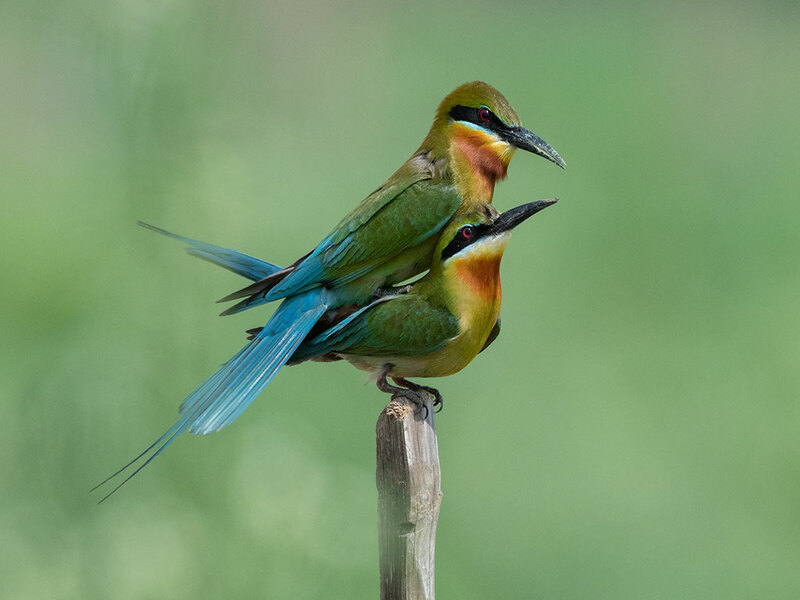 To capture this pair of breeding Blue-tailed bee-eaters, he waited for several hours by the banks of River Damodar, in Bardhaman, West Bengal. The best kind of summer mornings are those that begin with a walk on the beach. 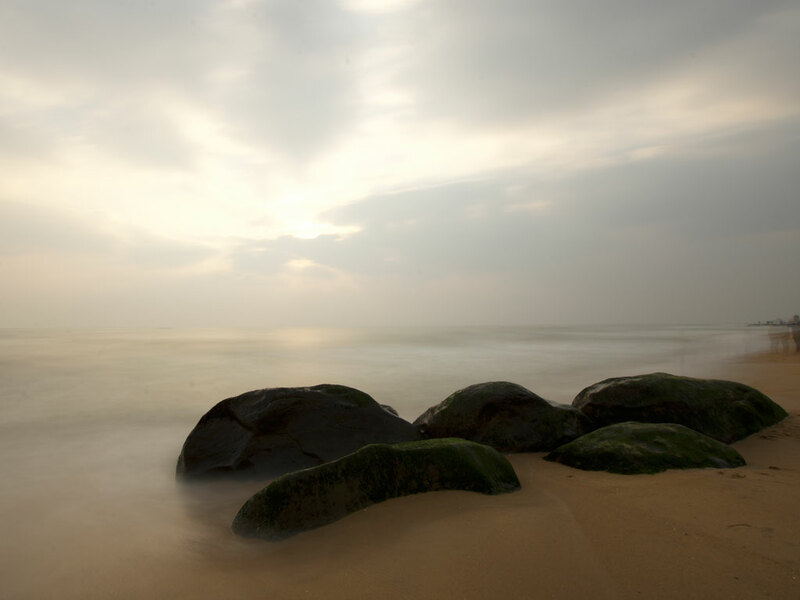 This dreamy shot was clicked at the break of dawn in Chennai's Covelong Beach. Harsh summer months are best to spot wildlife, say enthusiasts. The landscape is arid, and water pools most frequented. 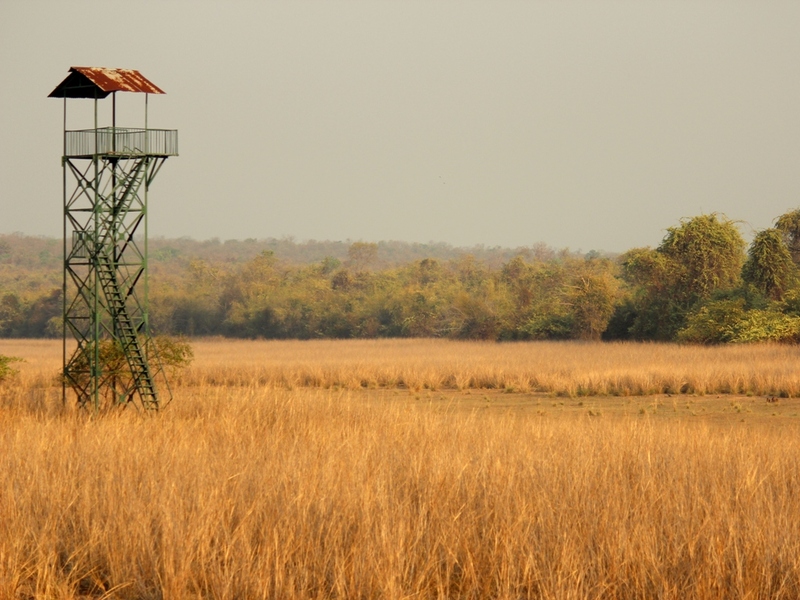 In Maharashtra’s Tadoba National Park, tiger-spotting, like elsewhere, tests your patience. The wait is worth it though, when you get a glimpse of the prowling tiger amid the yellow grass. Longer hours of daylight during the summer months often brings friends together for a good game in the open. 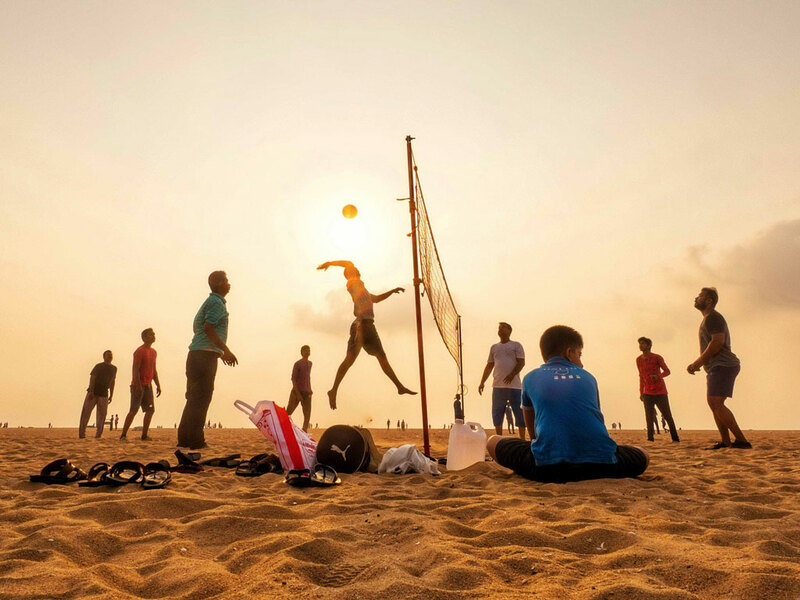 Here the Marina Beach in Chennai provides the perfect playground for a windy, watery match of volleyball. ﻿If there's one icon of Kolkata that manages to enchant despite its frequent appearance in pop culture, it is the stately Vidyasagar Setu or Second Hooghly Bridge, standing guard over the Hooghly River in West Bengal. 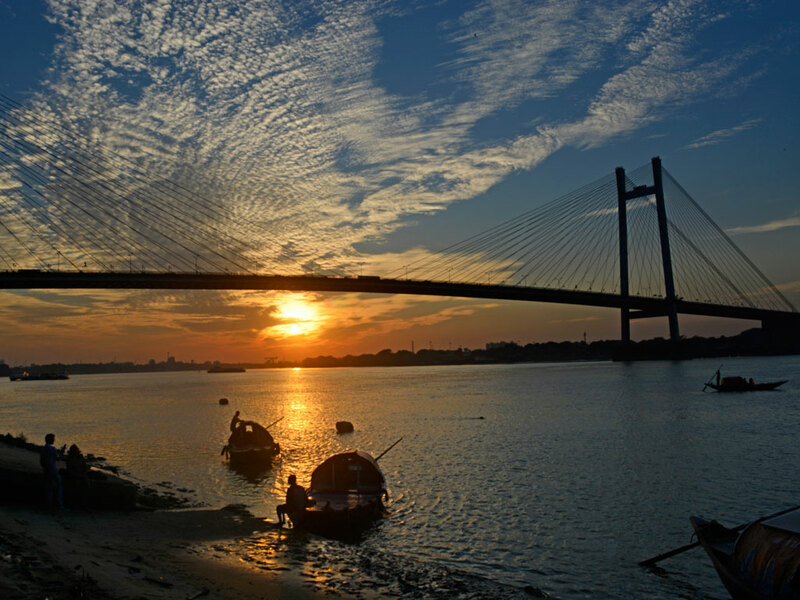 Seen here from the city's Prinsep Ghat, the toll bridge is witness to humid Bengal summers, when an evening boat ride along the river can offer great respite. Think you're the only one that enjoys icy slurps of gola during summer? 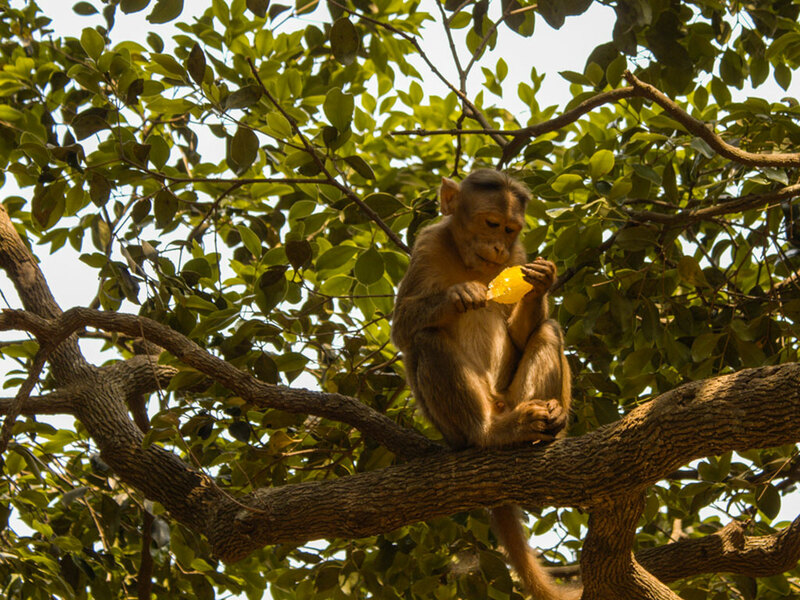 This monkey in Maharashtra's Matheran hill station seems to be delighted with his unusual treat, offered by a snow cone-seller on a day of harsh heat. While the languid summer hours spell levity for some, for this fisherman trawling river Haora in west Tripura, it is a shot at a good day's earning. 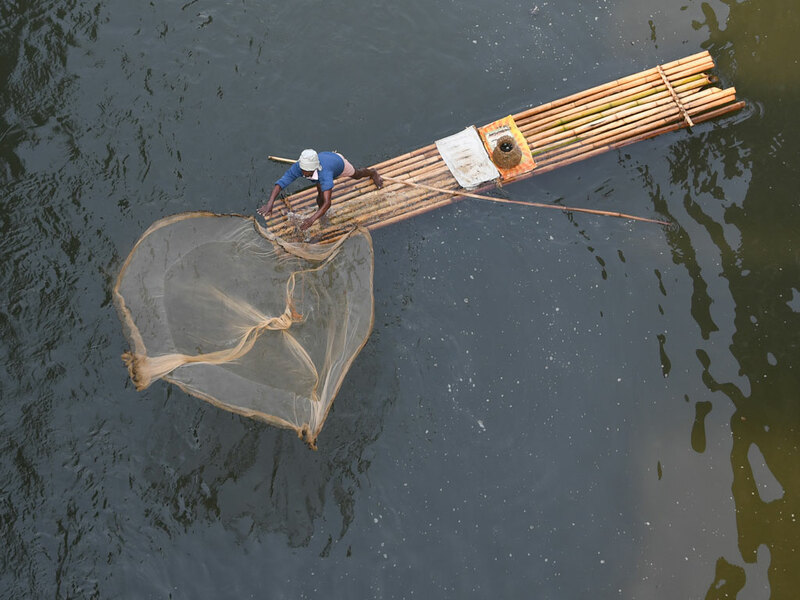 Armed with a bamboo raft and traditional fishing net, he is trying his luck. Ever wondered what the seasons mean for the dwellers of the wild? 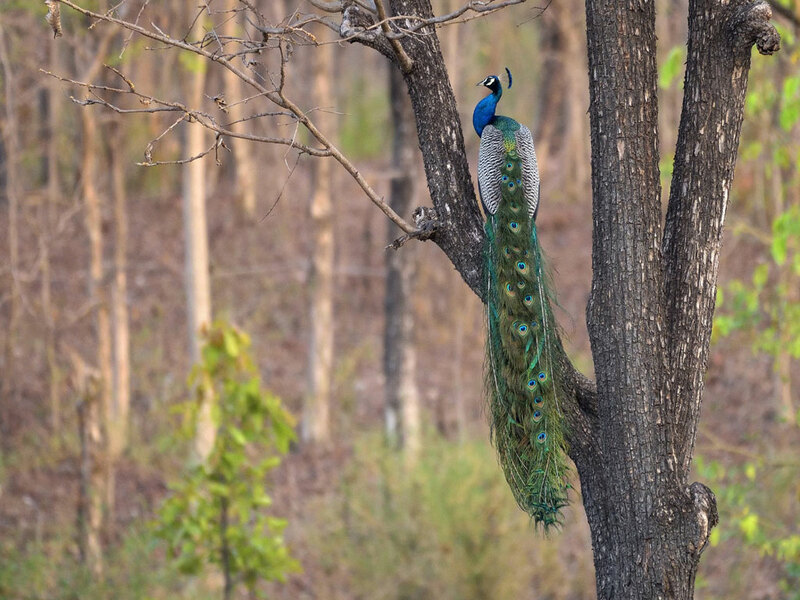 The pop of colour this peacock brings to the backdrop of dry saal trees in the Kanha National Park in Madhya Pradesh only stokes the imagination. Few things are as fun as frolicking in the summer sea—with heat and humidity close on your heels, the waves look more inviting than ever. And what better way to beat the heat than with friends? These young boys are making the most of the Malpe Beach in Udupi. 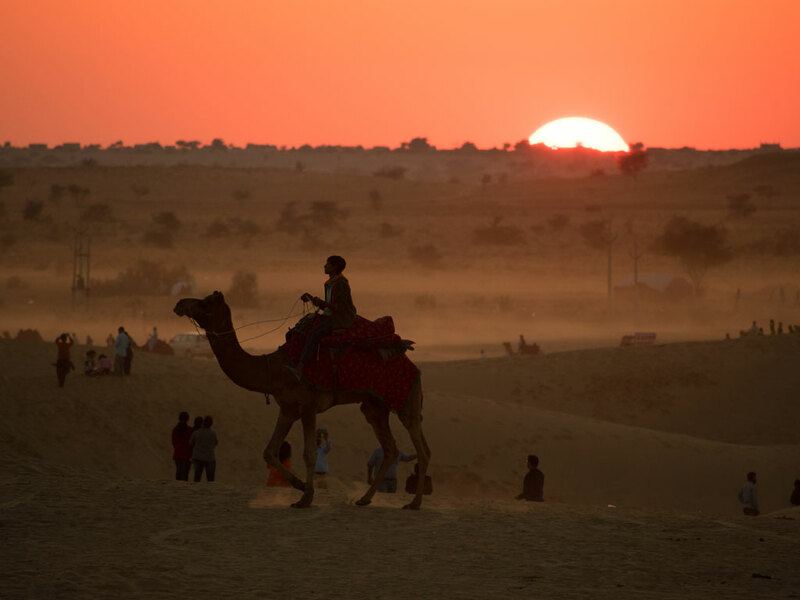 After scorching afternoons, sunsets are the most sought-after time of the day, bringing coolth and respite for those who call the desert their home, like this cameleer riding through Jaisalmer's orange-tinted sand dunes. 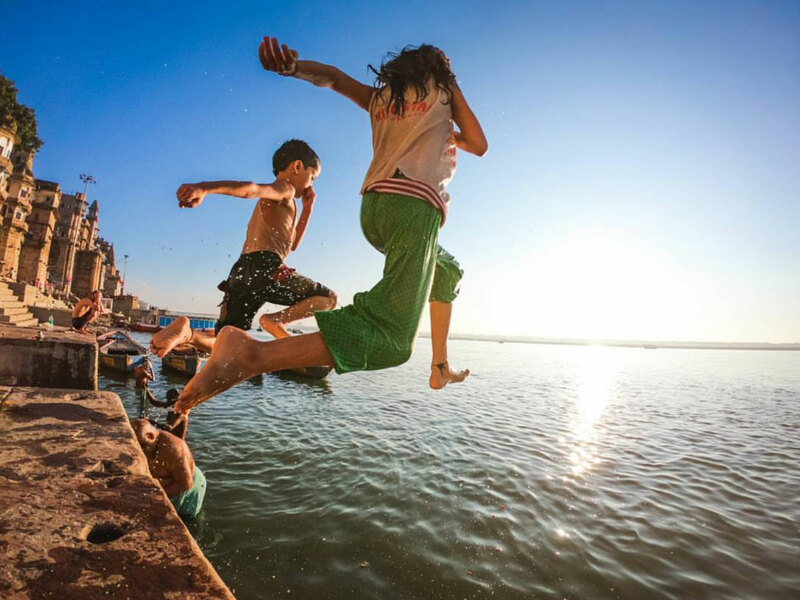 Breezy summer mornings spent amidst the cacophony of Varanasi’s ghats feel extra special, and a dip in the Ganga is perhaps the best way to soak in this holy city’s infectious energy. 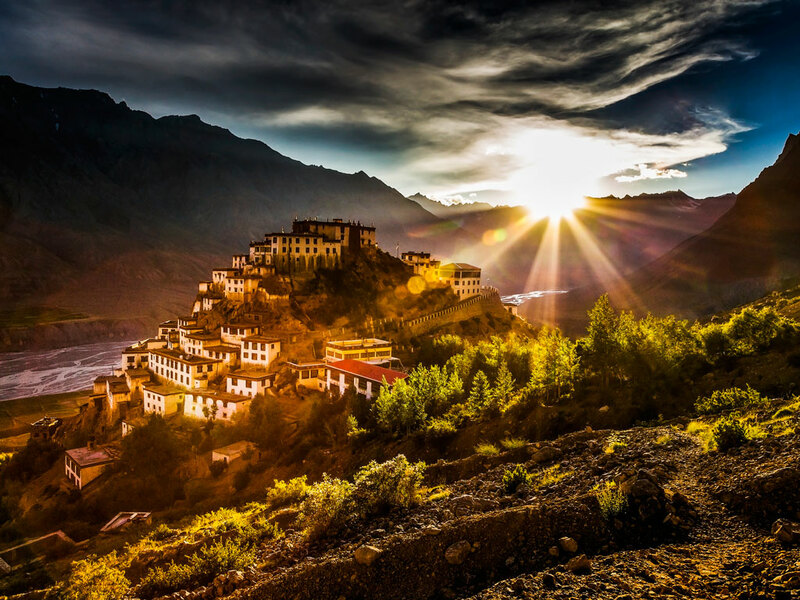 The summer sun shines over Spiti’s Key Gompa, bathing the mountain valley in a golden hue.